1. An extra thick bath pillow that'll have you soaking in the tub in utmost comfort for even longer than your usually do! 2. And a full-length bath pillow designed to cushion your back, shoulders, neck, and tailbone, so sitting in the tub is 100% comfy, and getting in and out is easier. 3. A sturdy, adjustable bamboo bath caddy so you can read a book, watch a movie, or enjoy a glass of wine hands-free in the tub — the ultimate luxury. Promising review: "This caddy is very cute and sturdy. It is perfect for a glass of wine and a book. The design is brilliant and can adjust to any tub size. 4. 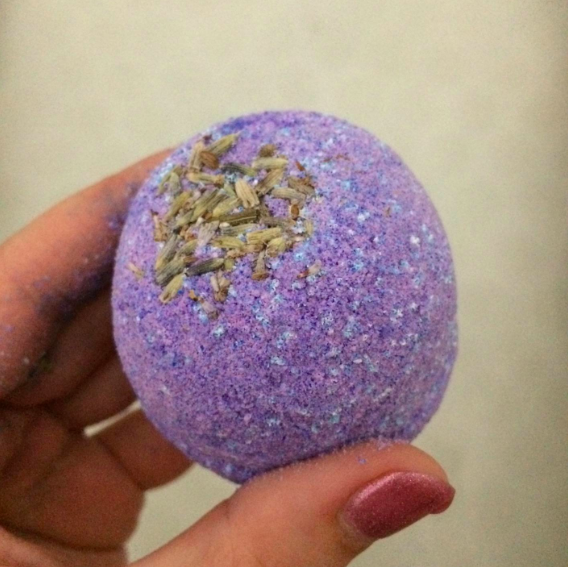 A set of 12 soothing bath bombs to make your bath water a super pretty color and inhale calming scents while in the tub! 5. 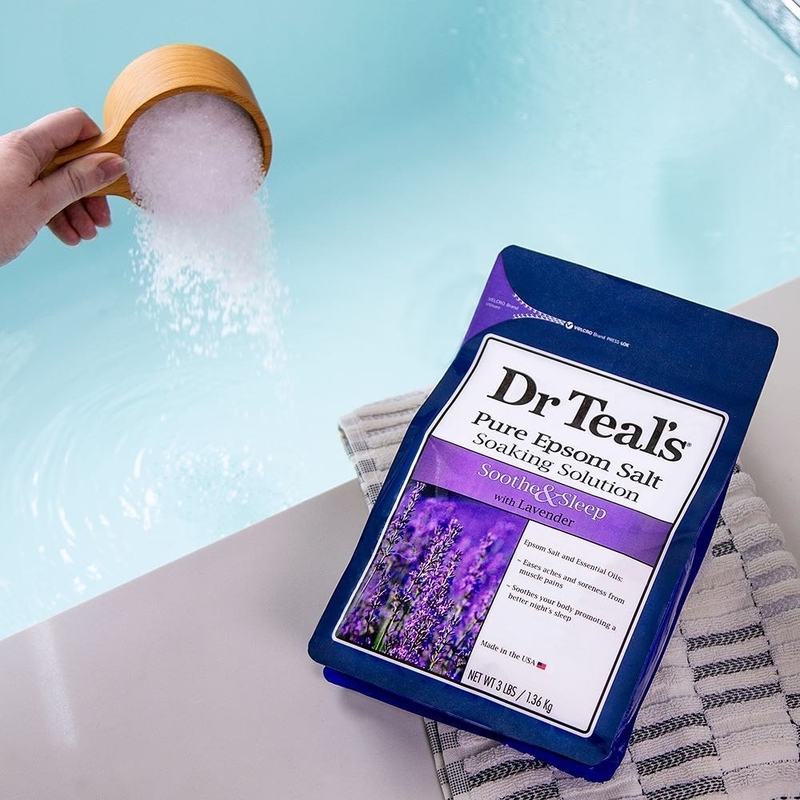 An exfoliating towel that'll ~smooth~ over rough patches on your shoulders and back, eliminate dead skin cells, and leave your skin soft and refreshed. 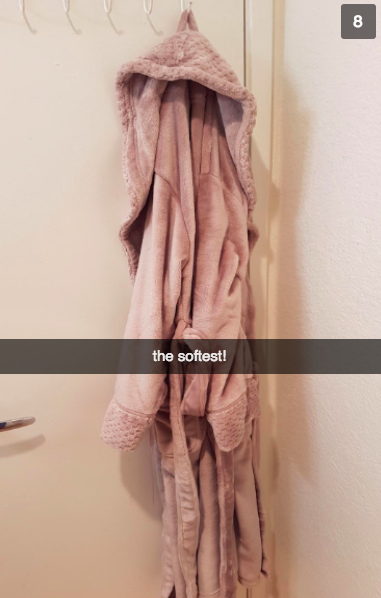 Read our full review of this exfoliating towel. 6. 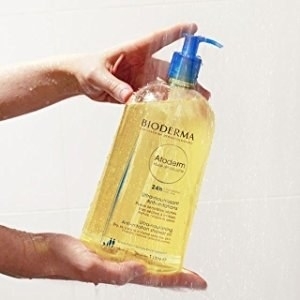 And Bioderma shower oil to moisturize and cleanse your skin while you soak — reviewers with dry skin swear by it! 7. A non-slip bath mat with drain holes that's quite simply the best bath mat you can buy, according to reviewers. It won't mold, it's machine washable, and it will keep you from slipping and sliding around the tub. 8. 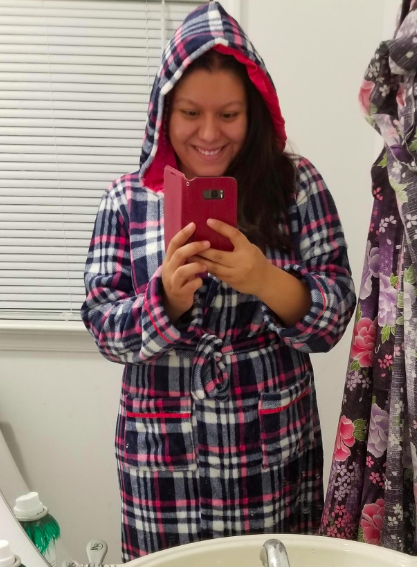 A super soft and cozy bathrobe adored by reviewers for its cute colors and warmth — some color options even have a hood! 9. A wine glass holder that'll hold up to a full glass, because the only thing better than having time for a bath is having time for a glass of wine and a bath. Promising review: "Great product! Just peel n' stick. Holds my wine glass up just fine...and I tend to fill it up towards the top! :)" —Gary G.
10. A clear shower curtain with waterproof liner pockets for tablets or phones, so you can fully indulge in a bath while binge watching Bob's Burger's — or let the kids watch their favorite show during their next bath. 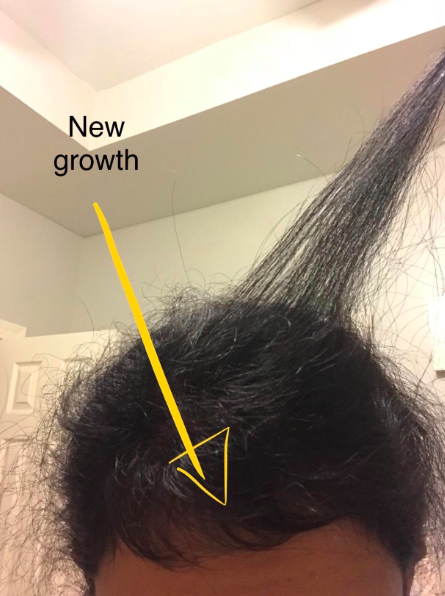 Promising review: "I can watch Youtube videos while shaving my legs, and the curtain is light enough to change the video without getting my phone wet —phenomenal product!" —Olivia L.
11. A bath overflow drain cover that'll keep that noisy drain cover covered, which means you can fill the tub up as much as you want! 12. 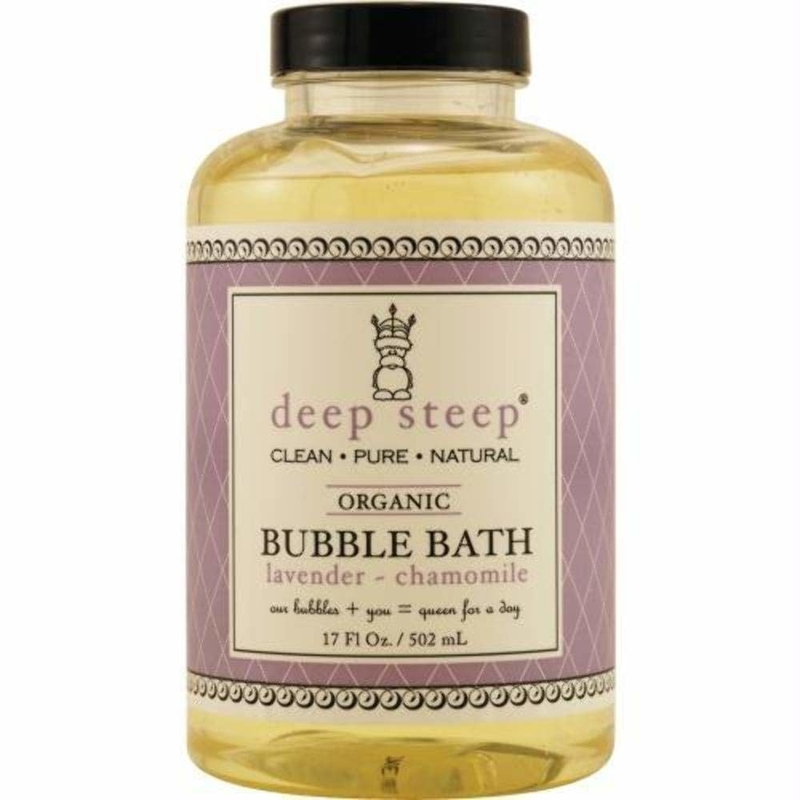 Deep Steep's organic lavender chamomile bubble bath – it'll give you maximum bubbles and make you smell like a princess angel. 13. A cute and soft bath spout cover to keep your kid's safe from the dreaded metal bath spout while they bathe. Honestly as an adult, I still need this. 14. An extra plush faux fur bath mat that's human and pupper approved, so when it's time to get out of the bath you can indulge your feet in luxury for a few more minutes as you dry off. It's washer-machine safe too! 15. 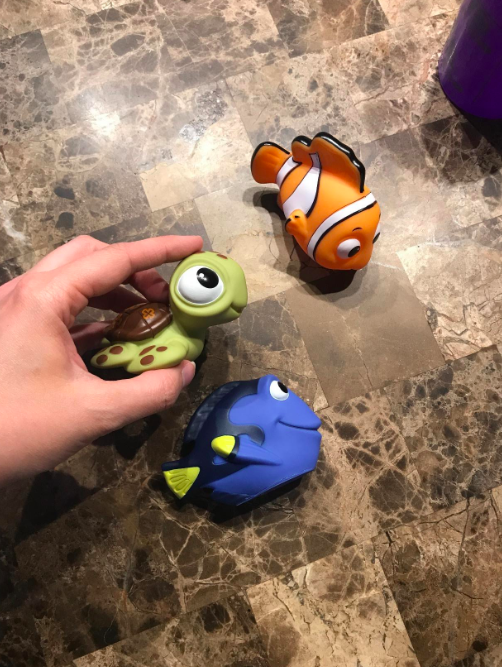 A set of three adorable Disney-themed bath toys to make bath time more fun and memorable for your little ones. 16. 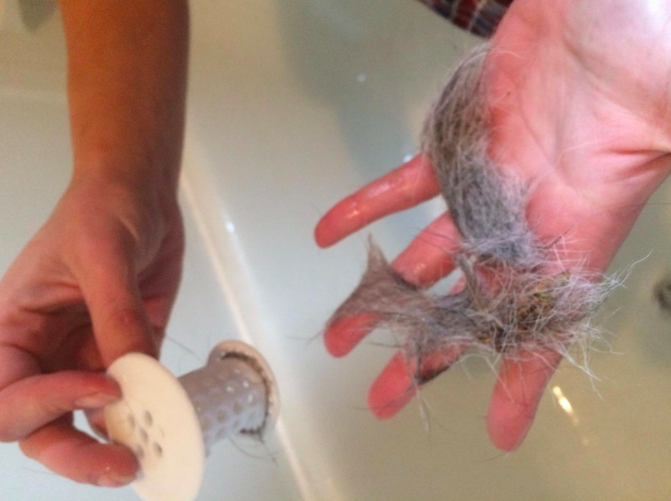 A practical Tub Shroom thousands of people swear by for collecting both human and pet hair in the tub before it goes down the drain; as great as baths are, they aren't worth a pricey plumbing bill. 17. A set of 24 waterproof LED tea candles that'll float, so you can slip these in your bath water for added ambiance without worrying about burns like with other floating candles. 18. 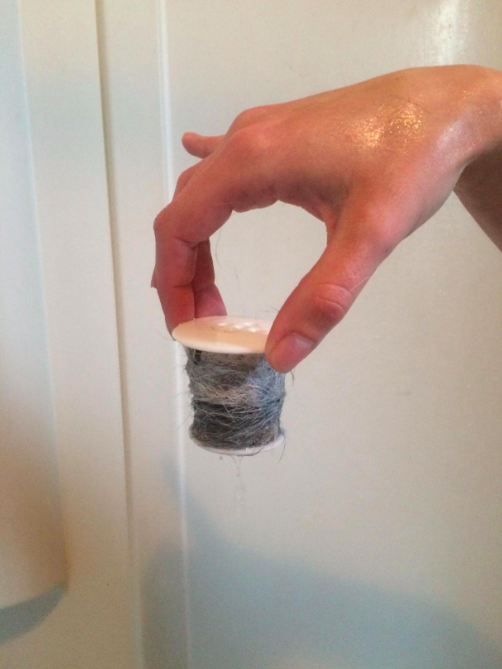 A back-scrubbing loofah that's just the right texture (not too scratchy and not too soft) to exfoliate those areas you just can't reach otherwise, and get squeaky clean. 19. 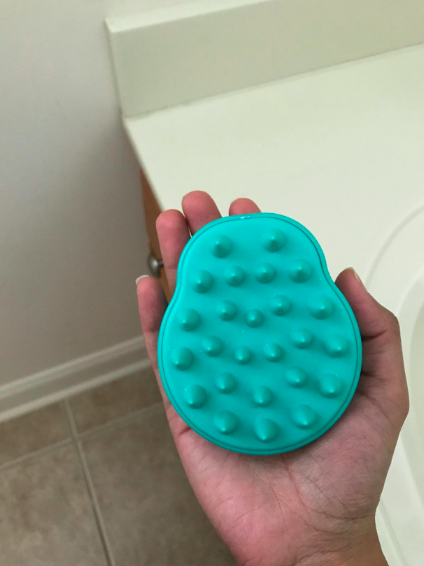 And a shampoo brush scalp massager worth working into your bath time routine. 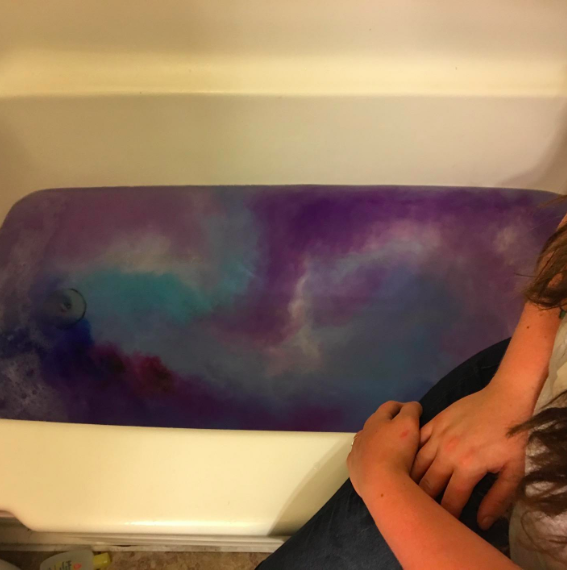 It feels amaaaazing and will help you wind down even more while you soak, plus it just may help cut down dandruff and regrow hair! 20. A paraben- and cruelty-free home spa kit filled with everything you need to tune out the world and pamper yourself. This babe has lavender and jasmine bath oil, body butter, bubble bath, and more. 21. A handy adjustable bath toy organizer perfect for anyone who is sick of sitting on their kid's rubber ducky every time they try to have me-time in the tub. 22. 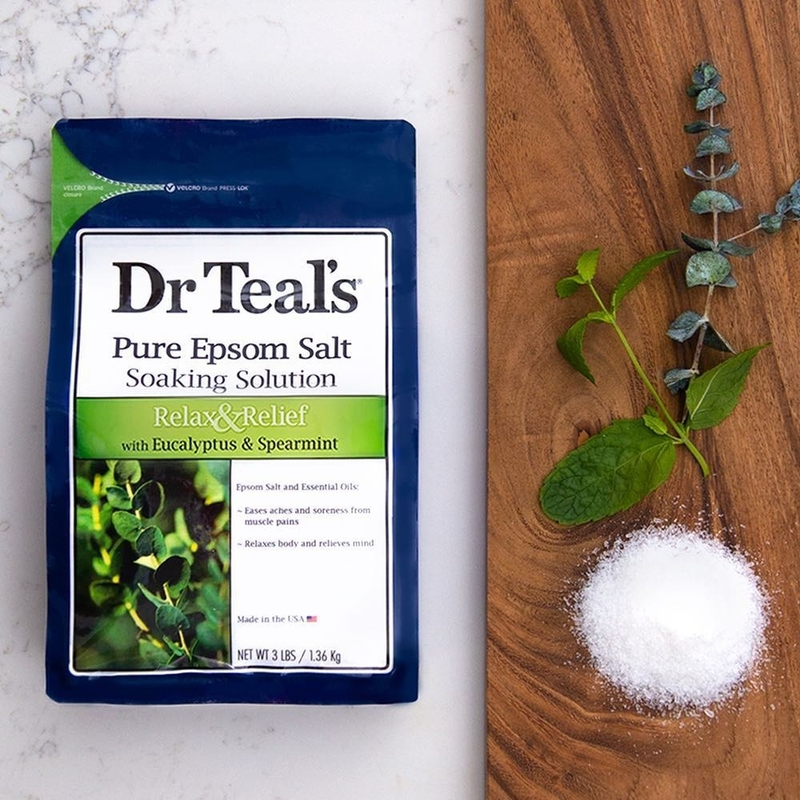 Dr. Teal's lavender, eucalyptus spearmint, and rosemary epsom salt bundle so you can feel like you're on a vacation right at home, and ease your muscles after long workouts. Why have one scented epsom when you have have all three? 23. 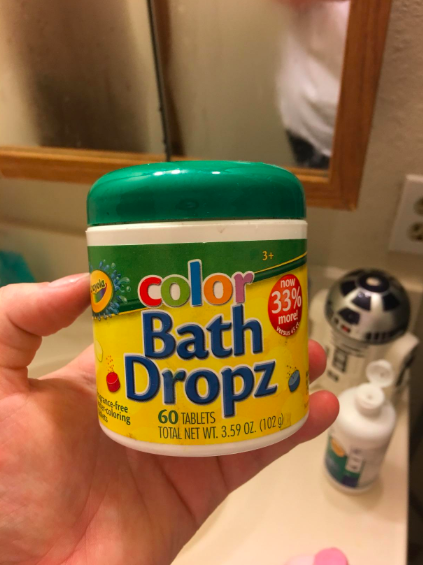 Crayola color bath drops to make your kids super excited for bath time with brightly colored (and non-staining) water; or for you to take some seriously gram-worthy pics of your beautiful bath set up. 24. 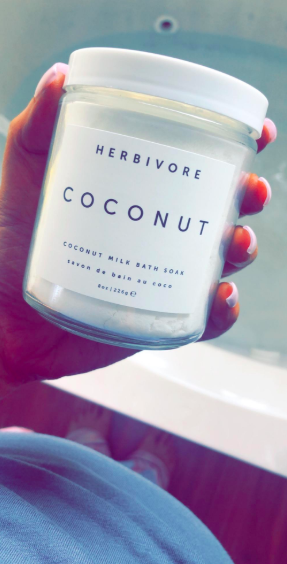 And a coconut milk bath soak that'll feel heavenly to steep in, and help you get the baby soft skin you deserve. 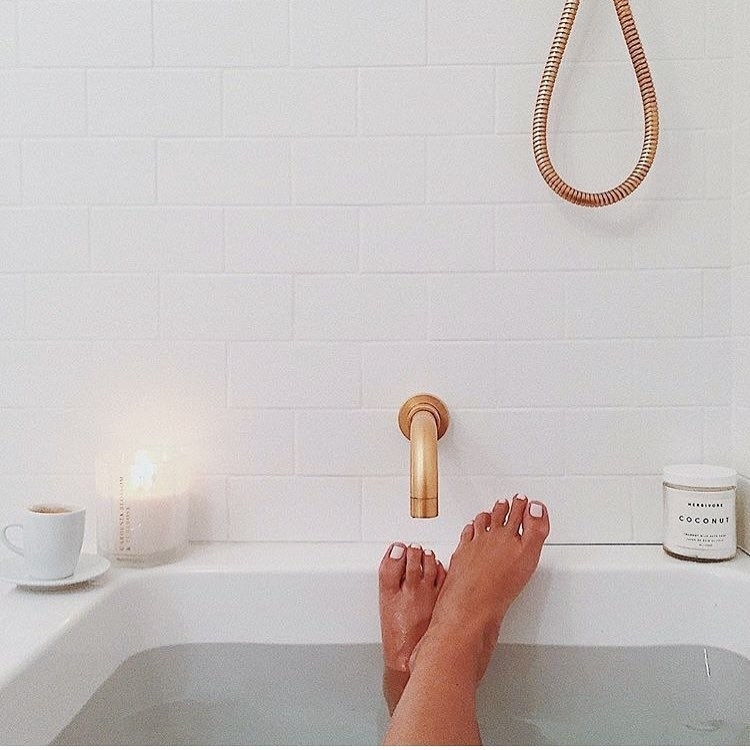 May your next bath be a delight! Check out these skin care products with over 1,000 reviews.